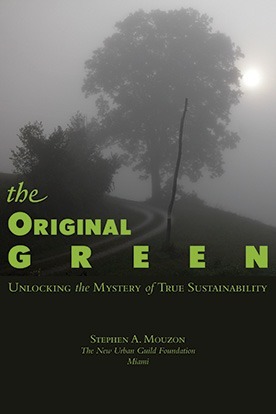 This post is part of the serialization of the first chapter of the Original Green [Unlocking the Mystery of True Sustainability]. The speed of life today tempts us at every turn to simplify things to a single variable. Who can blame us, with the exploding information bandwidths of our digital age? So complex issues get crunched into bumper stickers and sound bites. Focusing on carbon dioxide alone lets us do all sorts of ridiculous things so long as the buildings can somehow be termed “carbon neutral.” But does that mean it’s really sustainable? Google “carbon-neutral McMansion” and you’ll come back with more than 5,000 hits, for example. Real sustainability means keeping things going in a healthy fashion for a very long time. The meltdown is a bitter reminder that keeping things going takes a lot more than just avoiding utility bills. The carbon focus also lets us design modest buildings located in auto-dominated places. While the buildings themselves might be carbon-neutral, the lifestyle is far from it because if you have to drive everywhere, then you’re still responsible for putting lots of carbon in the atmosphere. Look at the building in the image above. 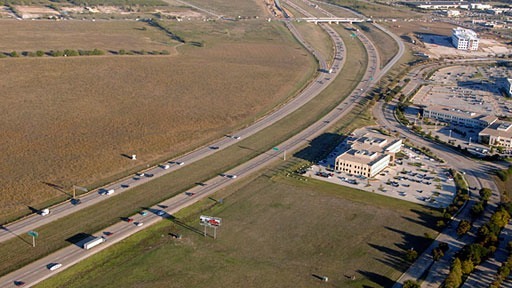 How silly is it to trumpet buildings located in auto-dominated places like this as carbon-neutral? Yet this is being done all over the country and abroad. Ignoring the context of the building while claiming carbon neutrality simply does not pass the smell test, nor does it meet the standard of common sense. We risk forfeiting the credibility of green standards by ignoring the Carbon Fallacy of Place. The issue of lovable buildings will be dealt with at length later, but it must be mentioned here, too, because the carbon footprint of a building is meaningless once its parts are carted off to the landfill because it could not be loved. Many architects are under the delusion that they know what people should want, and that it’s the responsibility of the public to learn how to properly appreciate their designs. But the citizens almost always beg to differ, and buildings are frequently demolished for no other real reason than the fact that they cannot be loved. A low carbon footprint is unlikely to ever save an unlovable building. 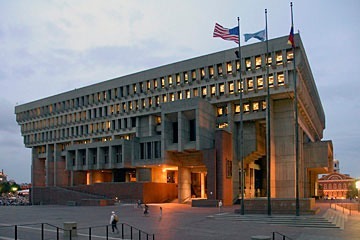 Even buildings as highly-revered by architects as Boston City Hall (shown here) is in danger of demolition because it is utterly unlovable. The principle of carbon offsets sounds reasonable at first glance: Do all that you can, then pay someone else to do something good to offset the carbon you are emitting. But dig just a bit below the surface, and there are many problems. One problem is the location of the offsetting activity. Someone rarely buys an offset they can see. In most cases, the offsetting activities are located offshore, often in developing countries on a different continent. As a result, the likelihood of the person or company buying the offsets ever seeing the offsetting activity is vanishingly small. So is the offsetting activity actually taking place? Here’s why: When you invest a large amount of money in something, you expect your investment to appreciate in value. When you spend a lot of money on a product, you expect it to operate as advertised. When you spend a lot of money on a service, you expect to be well-served. But what are you really buying when you purchase carbon offsets? To be blunt, you are paying someone to export your guilt. And so once the carbon offset has been purchased, you’ve received what you paid for: a conscience that doesn’t bother you. As a matter of fact, digging too deeply into the carbon offset after you’ve purchased it actually undermines the purchase. Why? Because if you find out that the purveyor of the offset actually did exactly what they said they did, then the only thing you accomplished is to spend a lot of time and money to verify what you thought you already knew. 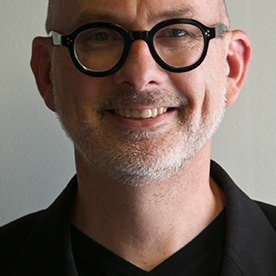 But if you find out that the purveyor of the offset was less than credible and the offset didn’t actually happen as advertised, then you’ve just spent a lot of money to destroy the value of the clean conscience you thought you had purchased. Clearly, then, purchasers of carbon offsets have far less incentive to verify the quality of the offsets than they do to verify the quality of the investments, goods, and services that they purchase. For a completely incisive parody of the concept of offsetting to carbon neutrality, check out the CheatNeutral site. The premise of the website is that “When you cheat on your partner you add to the heartbreak, pain and jealousy in the atmosphere. Cheatneutral offsets your cheating by funding someone else to be faithful and NOT cheat. This neutralizes the pain and unhappy emotion and leaves you with a clear conscience.” From that point, the website offers two avenues: “Are you a cheater? Cheatneutral can help you offset your indiscretions.” Or, “Loyal and faithful? Become an offset project and get paid for not cheating.” If this sounds ludicrous, check out the website. Its corollary to carbon offsets is stunning; you may be asking yourself which is most ludicrous, the cheating credits or the carbon credits, before you finish surfing. The bottom line is that the carbon focus is a guaranteed loser, if you insist on focusing primarily on carbon. The future cannot be won by carbon alone. It’s only a part of the equation, and a fairly small one at that. It’s an essential part, of course, but a small essential part. That’s the problem with the dilemma of sustainability ... there are many essential parts, and ignoring the others in favor of a single part will guarantee our failure. And we cannot afford to fail.